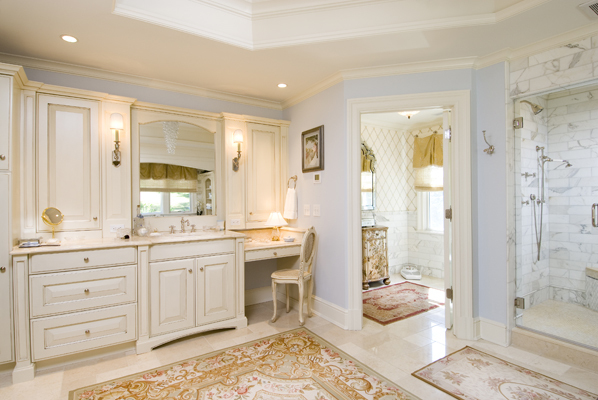 We kept this master bathroom simple by adding only a few decorative touches. A light blue diamond wallpaper with gold rosettes from Cowtan & Tout brought together the colors of the marble and window treatment. A reflective silver-leafed cabinet with a floral and bird motif and the Venetian mirror on the wall, kept this water closet light and serene. 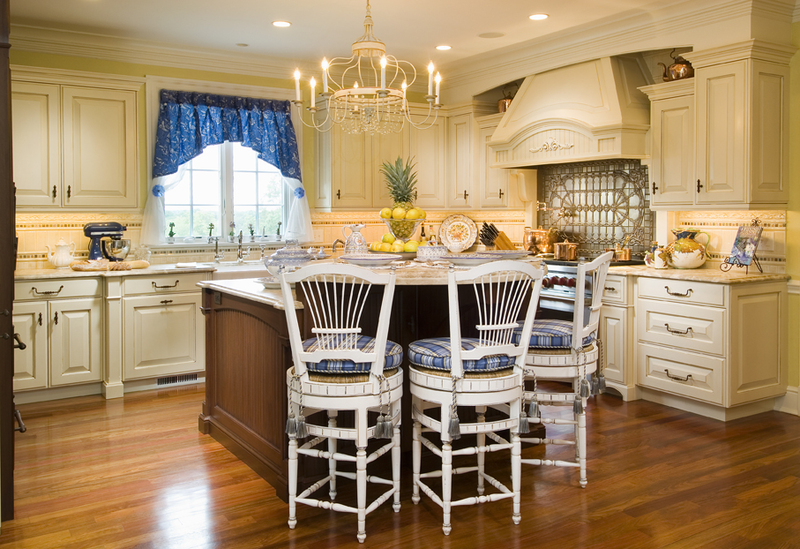 The petit French chair was formerly green, and was refinished to be used in "her" vanity area.